Silver slippered, fur-coated, still rocking her Goyard. 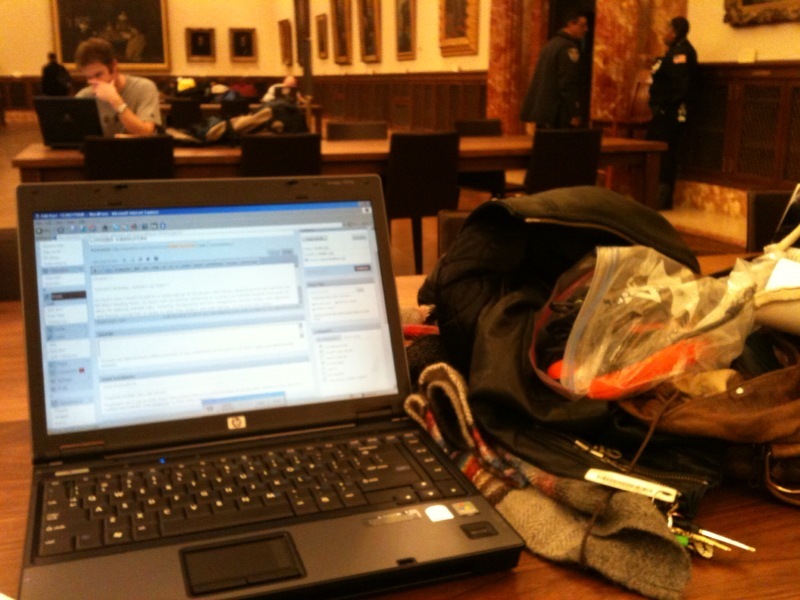 So that’s how I found myself on a loaner laptop at the Bryant Park Library (directly across the hall from the Bill Blass Reading Room, no less!) with 16 minutes remaining on a version of Internet Explorer that does not allow for opening multiple tabs, tweeting, facebooking and now, blogging for anyone nearby with a moment and firewire connection to spare to open their hearts, and their laptops, to this one-man-band. But at least I like my outfit. 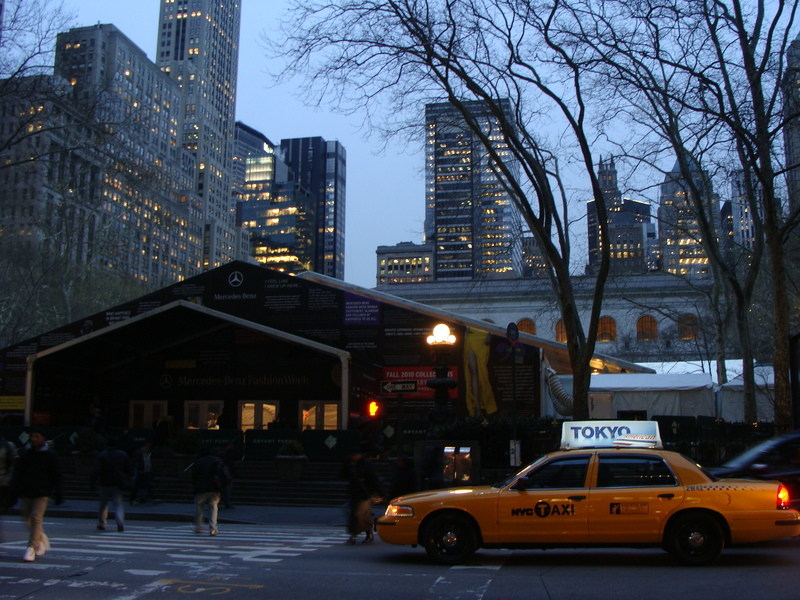 Tagged as bryant park, fashion week, what to wear? Tonight’s forecast calls for heavy snow to begin falling around midnight. 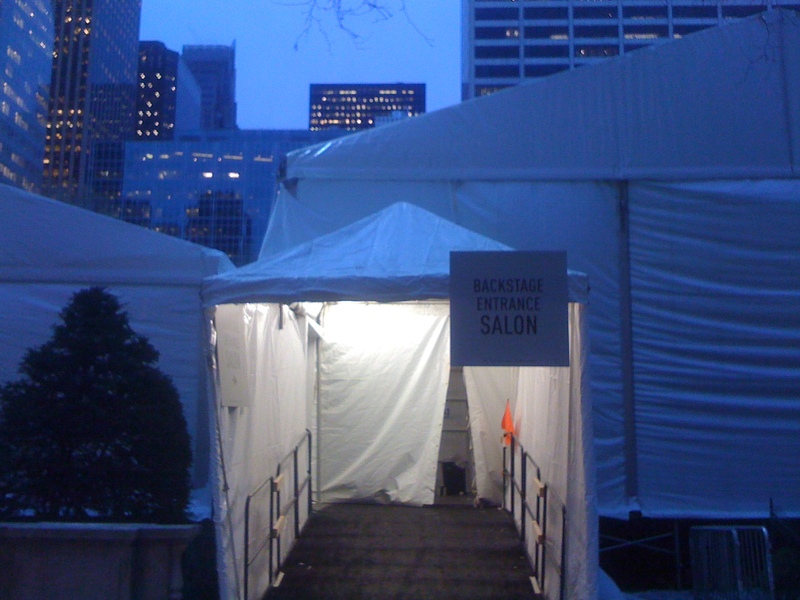 The air was heavy and cold as I wandered by the tents earlier this evening, where the crew was battening the hatches for Bryant Park’s final New York Fashion Week. In a couple of days, Fashion Week will hit the fan, and I’ll be running around to cover it for Dossier. 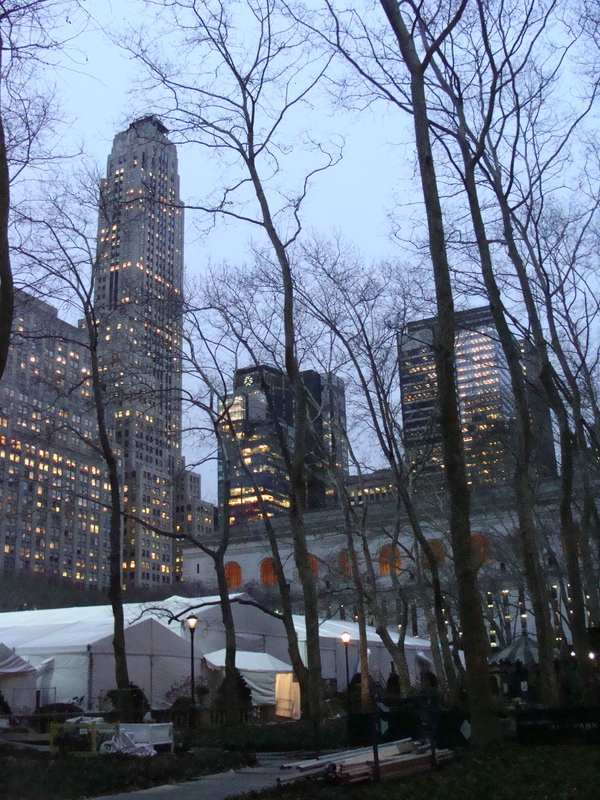 But for tonight I’m battening the hatches at home, for one last fashion week at Bryant Park.